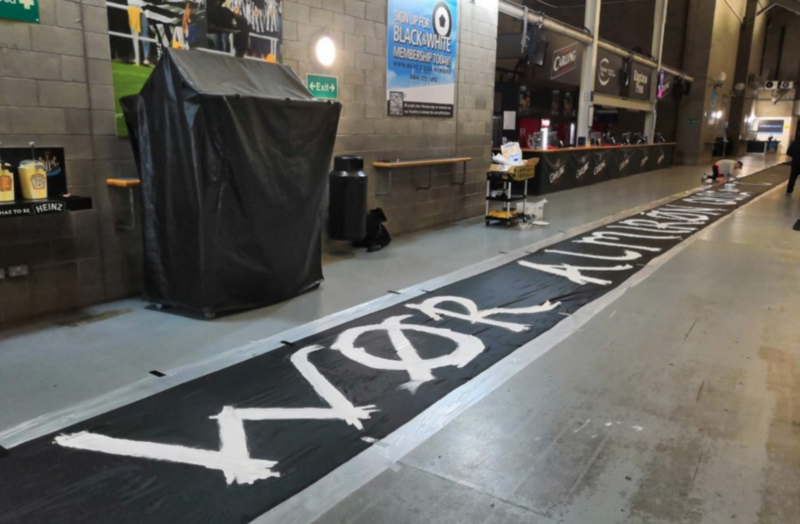 ‘Wor Flags’ leak picture of brilliant Miguel Almiron display ahead of huge Huddersfield clash – NUFC blog – Newcastle United blog – NUFC Fixtures, News and Forum. 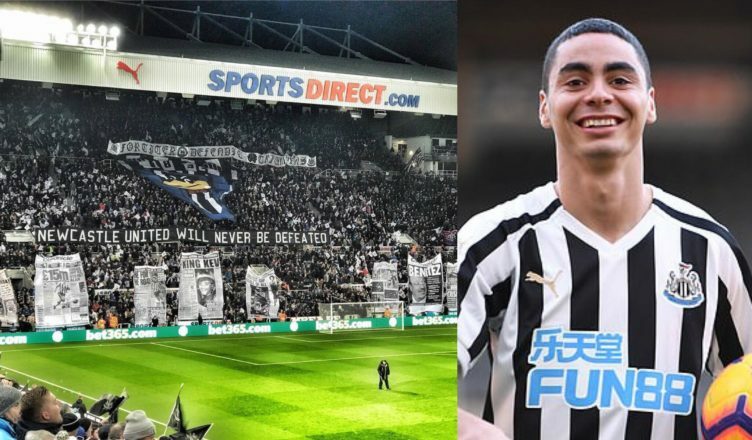 A sneak preview has been shared of a Wor Flags display dedicated to Miguel Almiron ahead of what looks set to be his home debut at St James’ Park on Saturday. The Paraguayan made his first Newcastle appearance from the bench in our 1-1 draw at Wolves last Monday and looks all set to make his home debut against Huddersfield this weekend – a moment us Newcastle fans have been savouring for a few weeks now! More brilliant work from Wor Flags here, with this guaranteed to make him pretty special when he enters the field on Saturday – providing Rafa Benitez does start him that is! Details of the fee are not clear, with some claiming he’s our new club record signing and others suggesting the initial £16m paid means he is not just yet, but, either way, we now finally have a player worth getting excited about. It’s a huge game this weekend – so we can’t just see this as the day we paraded our new big money buy – but his presence on the pitch and the lift it could give us fans may just be the boost we need to take all three points. A Paraguayan superstar called Miggy Almiron! Oh, Miggy Miggy, Miggy Miggy Miggy Miggy Almiron! Oh, Miggy Miggy, Miggy Miggy Miggy Miggy Almiron”!!! One for the Gallowgate faithful to learn and sing loud and proud. Make the lad feel at home with something original. HTL!!!! I just don’t get the point of leaving him on the bench. You’re asking a new player to sit on the sidelines and then try to make a difference with 20 -25 minutes to go? He might not even get a touch! PLus, you want him on while our other players have fresh legs. You don’t want him putting in a lung busting run then looking across and there’s nobody there. We are not a team full of goals, playing against a team with practically nothing to lose.